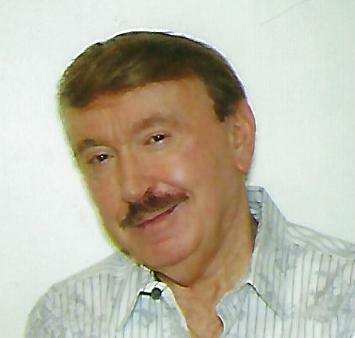 Obituary for Eugene L Centorcelli | Giunta-Bertucci Funeral Home Inc.
Eugene "Gene" Louis Centorcelli passed away Friday, Jan. 18, 2019. He was born May 13, 1934, in Sarah Furnace, Pa., to Joseph and Mary (Caporali) Centorcelli, who predeceased him. He graduated from Rimersburg Union Joint High School in 1952. He attended Duquesne University and Temple University, earning a degree in English and History in preparation for a career in teaching. He taught at Burrell High School for 30 years, starting in 1963. He was the director of many plays and musicals during his years at the high school. He loved his years teaching and the dramatic activities done with all the talented students. His interest in drama led him to other dramatic endeavors, where he acted and directed in may plays at New Kensington Civic Theatre, Sherwood Forest Theatre, Odd Chair Playhouse and Monroeville Civic Theatre, to name a few. He was also a member of I. Compagnole in Pittsburgh, where he was a singer and dancer. He was an extensive traveler and thoroughly enjoyed his excursions through Europe, Asia, North Africa, South America, Australia and New Zealand, as well as the United States and Canada. He worked in Hawaii on the Kona Coast for a few years and loved the beauty of the islands and its people. He was a member of numerous wine and dinner groups and enjoyed the company of the many friends he made there. They were like a second family to him. He was proud to serve his country in the Army for two years. The many experiences he had truly enriched his life and he was overwhelmed by it all. In addition to his parents, he was preceded in death by his brother, James Centorcelli, and sister, Adeline Cocco. He is survived by his sister-in-law, Amelia Centorcelli, of Vandergrift; two nephews, Ronald (Patty) Centorcelli and Chris (Kathy) Centorcelli, both of Allegheny Township; two nieces, Sandra (Dave) Golembiewski, of Allegheny Township, and Kathleen (Patrick) Graczyk, of Sarver. He had four great-nephews, Jon Golembiewski, of Pittsburgh, Steven (Kelly) Golembiewski, of Philadelphia, Joshua Centorcelli, of Allegheny Township, and Michael Graczyk, of Sarver; three great-nieces, Lauren Golembiewski, of Austin, Texas, Samantha Shirey, of Lower Burrell, and Amber Shirey, of Sarver. He is also survived by numerous cousins with whom he was very close. Per Eugene's request, there will be no public visitation. Burial will be private. Arrangements are entrusted to the GIUNTA-BERTUCCI FUNERAL HOME INC., 1509 Fifth Ave., Arnold, PA 15068, JohnPaul Bertucci, owner, supervisor. To leave an online condolence, visit www.giunta-bertucci.com.